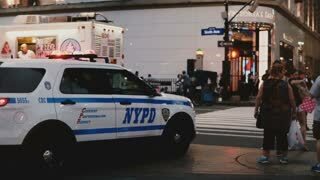 Search Results for "new york street"
NEW YORK AUG 18 2017 - Two police officers in bright uniforms controlling heavy bus traffic on a busy New York street. 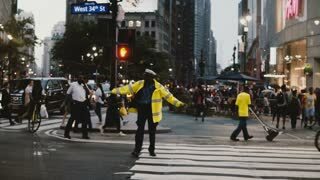 Camera follows girl with backpack walking along sunny New York street, living a casual happy lifestyle slow motion. 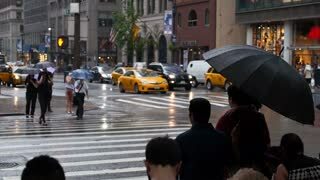 Slow motion smiling young Caucasian girl hugging and kissing her boyfriend standing near busy New York street crossing. 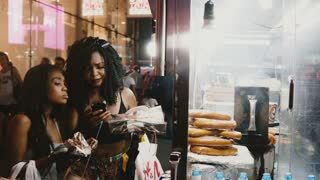 Happy relaxed beautiful millennial girl stands in New York street looking at smartphone using shopping app smiling. Beautiful young multiethnic romantic couple sitting on a bridge, chatting, nodding and laughing over New York street. 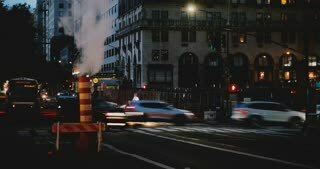 4K Evening to nighttime New York street timelapse. Steam vapor pipe. Busy crowded intersection. Vehicles and people. 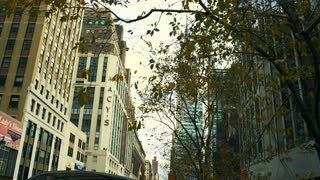 A personal perspective POV walking under scaffolding on a typical New York street. Happy multiethnic romantic couple sitting on a New York street bridge, taking smartphone selfie and having fun smiling. Casual young multiethnic couple sitting on a bridge over New York street having fun, smiling and trying eyeglasses on. Happy cheerful Caucasian woman walking along New York street with beautiful houses using smartphone app slow motion. 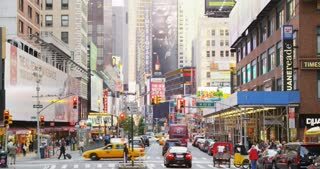 Slow motion young man and woman standing together and hugging at New York street crossing, yellow taxi passing by. Beautiful young multiethnic friends sitting on a bridge enjoying lovely New York street view, chatting and having fun. 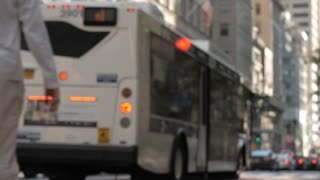 NEW YORK AUG 18 2017 - Traffic control policeman directing cars on a very busy street in New York, bus stopping by. 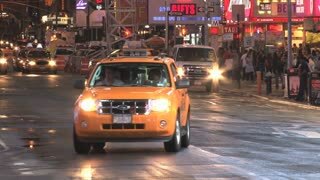 NEW YORK AUG 18 2017 - Heavy traffic of yellow taxis on a very busy street in New York, police officer directing cars. Atmospheric shot of happy Caucasian young local woman using smartphone app in dark busy New York night street crossing. 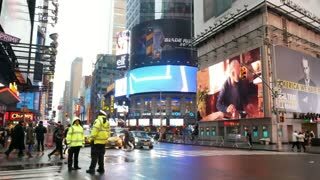 Slow motion happy young Hispanic man hugging and dancing with European girlfriend near New York busy street crossing. 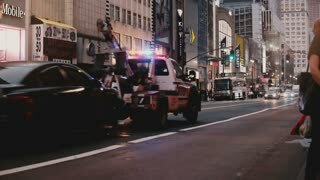 Slow motion happy Hispanic young man walking holding hands with European girl along New York evening street with trees. NEW YORK AUG 18 2017 - Caucasian adult couple standing near a street food vendor buying snacks in evening New York City.